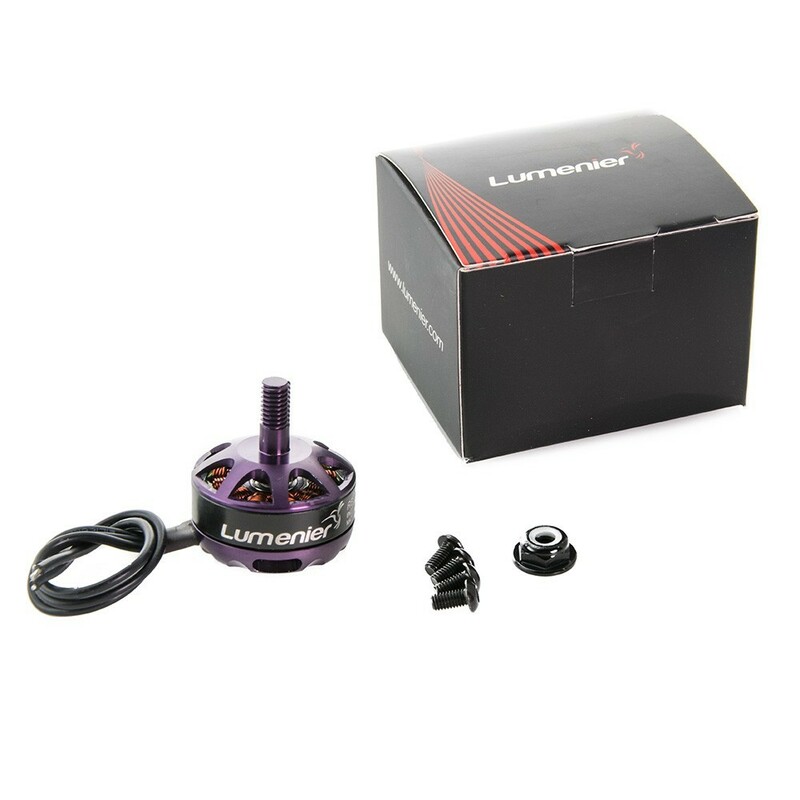 The new Lumenier 2400kv RB2205C motors fill a gap in Lumenier's multi-rotor motor lineup offering the perfect balance between high kV whilst maintaining enough torque to quickly spool-up and spool-down the motor and combining this with cutting edge ceramic bearings that have yet to be used on motors in the miniquad market. 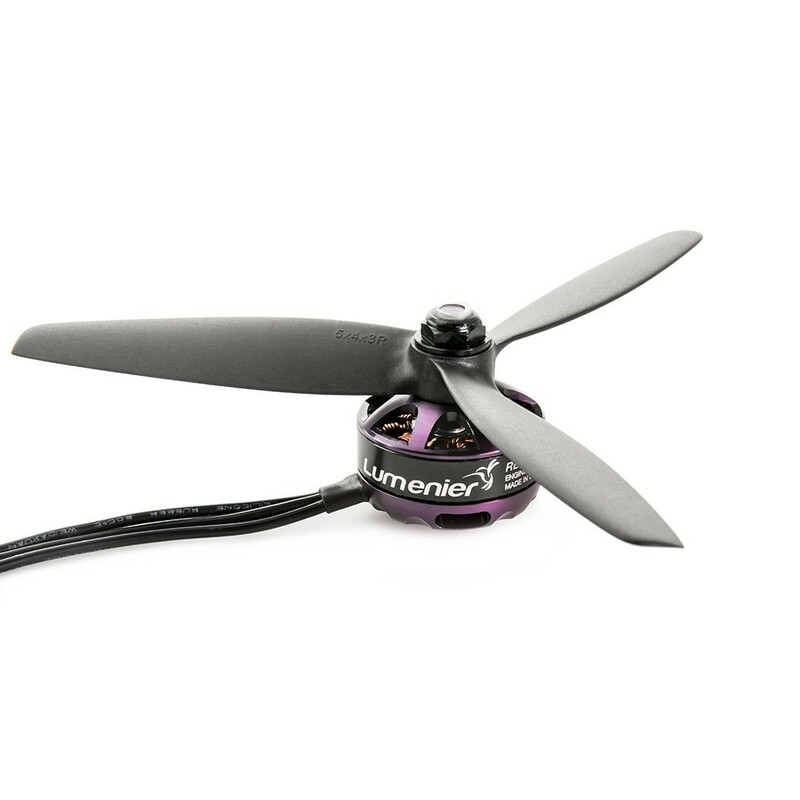 Designed with top FPV freestyle Skitzo the RB2205C are desinged to be some of the smoothest motors on the market. 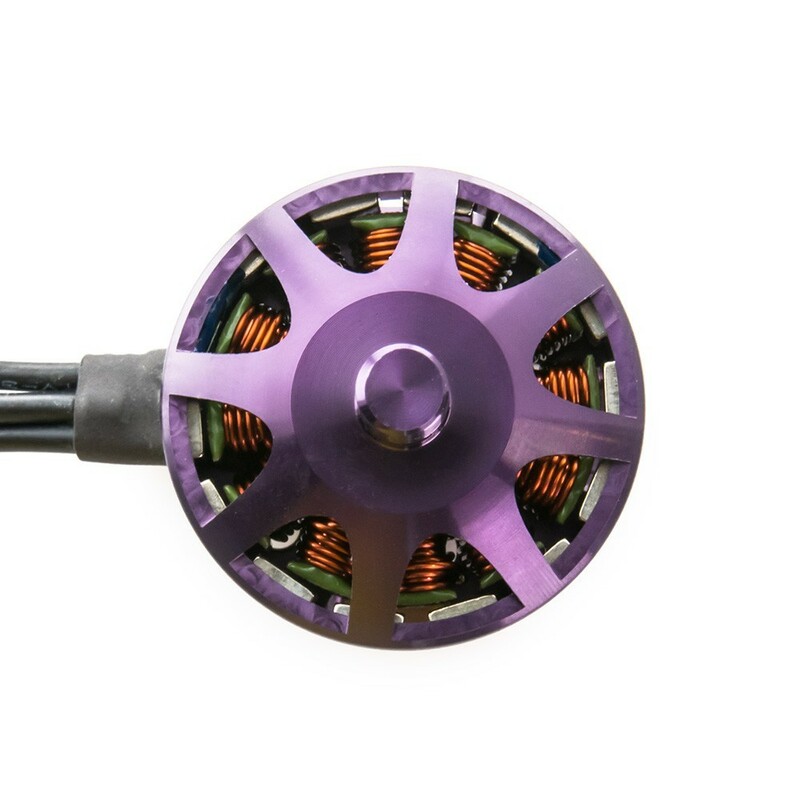 With a 2400kv rating and 2205 stator size the new RB 2205 fit in perfectly between the Lumenier RX2204 and RX2206 motors, which are some of the most popular and well known motors on the market. With the new RB2205 motors, Lumenier offers very granular motor choices from 2204 to 2206 across a wide range of kv ratings providing the ideal motor for every build. 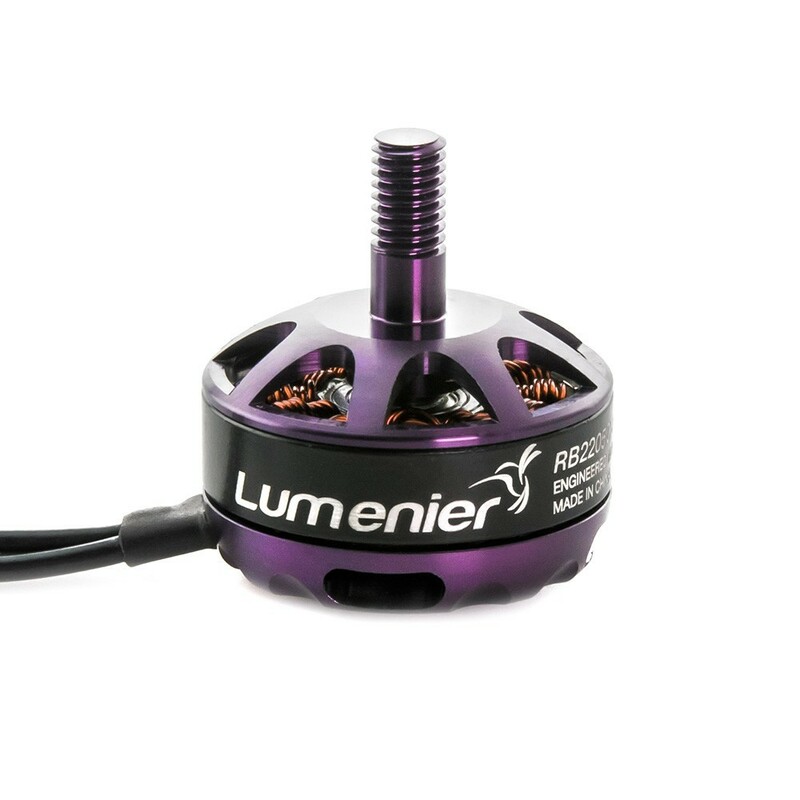 The new 2205 motors come in at 24g including wires which continues Lumenier's tradition of creating some of the lightest racing motors on the market. 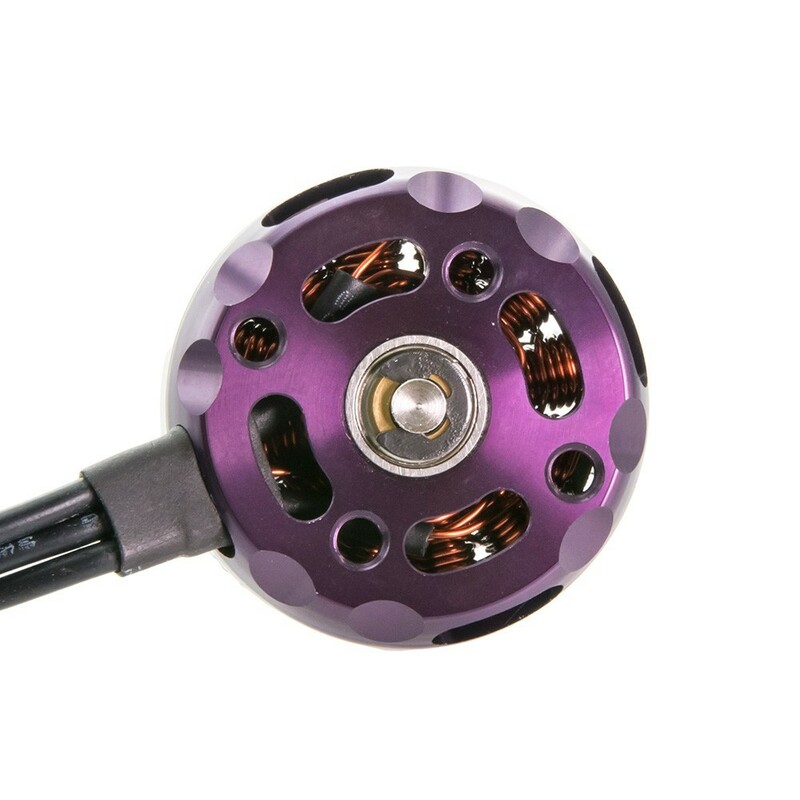 The new Lumenier RB2205 "Skitzo" limited edition motors come in a attractive purple color and deploy high quality ceramic ball bearings. Ceramic ball bearings have long been deployed in RC applications such as high performance car racing and offer vastly increased life span, cooler running temperatures, and super smooth and quiet performance. Lumenier is one of the first brushless motor companies to use the ceramic ball bearings in the 22XX motor size for multi rotor applications so these motors really are at the cutting edge. Carefully assembled and dynamically balanced in Lumenier's climate controlled facility, the new Lumenier 2205 motors leverage new glue technology, application robots for even glue distribution, and advanced curing procedures to ensure the magnets won't slip.